Today I just wanted to pop in and say that I have a new DIY post up on Seams and Scissors! 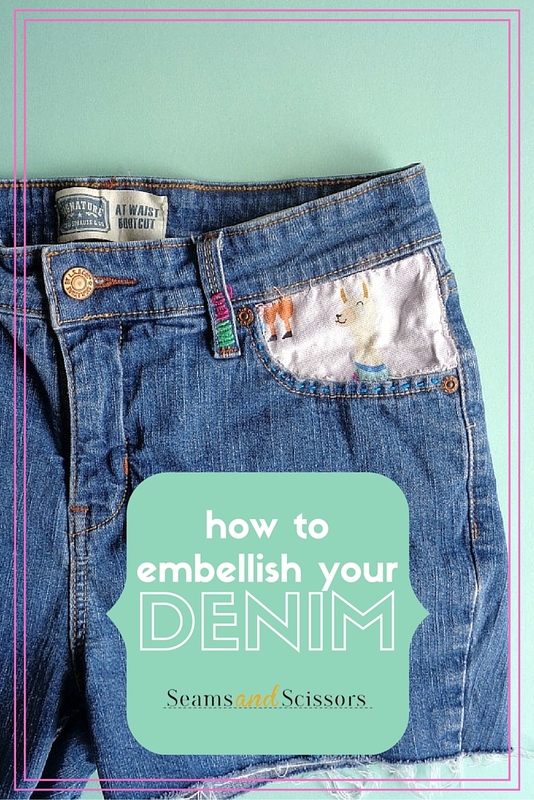 The DIY post that is up on their site is called ''How To Embellish Your Denim''! Now remember how on Monday, I mentioned that I wanted to craft outside my comfort zone? Well, you can't get more outside your comfort zone then with DIY shorts that have lamas on them (lol)! How this whole thing came about, was that Seams and Scissors brought up the idea (to me) about creating a DIY that involved decorating denim shorts. Personally, I haven't done that many ''fashion'' DIYs on the blog, so I thought why not! In the tutorial, I show you how you can take fabric and embroidery thread to embellish different parts of your denim shorts. I also show you (in the tutorial) how you can distress your denim shorts by just using a craft knife and razor. However, if were being honest, the best part is the lama fabric! If want to learn how to embellish your denim shorts, then stop by Seams and Scissors and check it out.